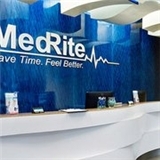 MedRite Urgent Care (Spring Valley) - Book Appointment Online! If you have a condition or treatment that needs immediate attention, MedRite Urgent Care Center is here to serve you. We are a state-of-the-art walk-in clinic with locations in both New York and Miami. Each location is staffed by a team of board-certified physicians, many of whom are board-certified in emergency medicine and qualified to treat patients of all ages. Our physicians can provide diagnosis and treatment for general illnesses and non-emergency injuries. Many routine services are also available at our walk-in clinics, including STD testing, physical exams, drug screening, vaccinations, and more. Our facilities feature onsite labs, digital X-ray equipment, and testing equipment, ensuring we’ll be able to provide the fastest possible imaging, testing, diagnosis, and care for non-emergency ailments. Visit MedRite Urgent Care as an alternative to the impersonal and often expensive visits to the Hospital Emergency Room and the long waits to see your doctor. Very clean facility. Professional and nice staff. I was seen by the doctor very quickly and only spent about 15-20 minutes in the waiting room!